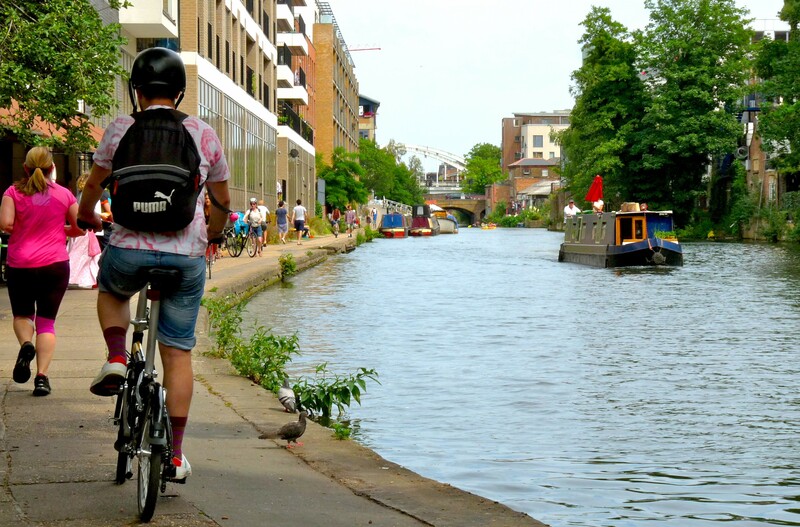 THE REGENT’S CANAL towpath is always a way out of the stresses of London. But why not walk it with a posse of the like-minded? Apart from meeting like-minded souls, you’ll feel safer from those cyclists — obviously, not me — who can be so annoying. Transport for London is leading a gentle stroll from Angel Tube station N1 9LJ to Hackney Wick station at E9 5ER , a distance of 7km, which even a shambling, ambling group should complete within two hours. Go on, sample the autumn leaf fall of northeast London, away from motor traffic. No fee and no need to book: just turn up at the Angel and go on one of the easiest yet most beguiling walks you could want. It ends a short distance from the Crate Brewery. My editor has suggested to TfL that it might ask the café to arrange a dedicated counter for walkers at Crate’s café, which is so often busy at weekends. Let us hope his excellent idea, uhm, has legs. * The walk from Angel tomorrow Saturday 17 October 2015 starts at 12.30 is one of 40 TfL Autumn Ambles led by experienced guides and starting and finishing within easy reach of public transport tomorrow and Sunday 18 October 2015. Other walks will be feature seven Walk London Network routes: Capital Ring, Green Chain, Jubilee Greenway, Jubilee Walkway, Lea Valley, London Outer Orbital Path and Thames Path. All free.